Junya Watanabe has produced this great single breasted Ester Glen check blazer. 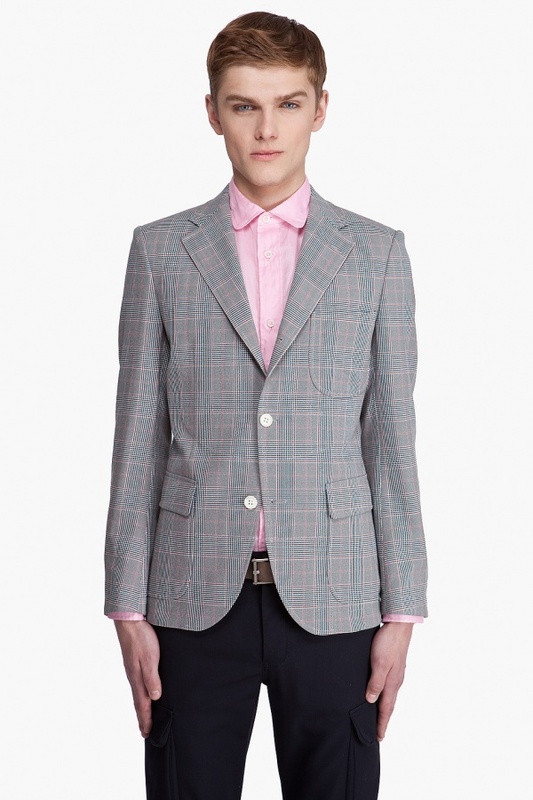 Patterned with glenplaid checks in red, grey and blue, the jacket features a notched lapel collar with buttonhole detail, lightly padded shoulders, and three button front. Also featuring patch and flap pockets, this jacket is available online. This entry was posted in Blazers, Tops and tagged Ester Glen, Junya Watanabe. Bookmark the permalink.